Tel Aviv restaurants have flourished into a culinary capital thriving on the eclectic delights of fusion cooking. My favorite Israeli meal has to be breakfast. And if you’re not a morning person, that’s OK – here’s why. Check out Benedict – All About Breakfast – 24 hour diner style with a European twist, located on the corner of Alenby & Rothchilde or if you’re further up north 171 Ben Yehuda St. Just remember, it’s packed on weekends! Breakfast is a very big deal (and meal) for Israelis (even if it’s not technically morning). 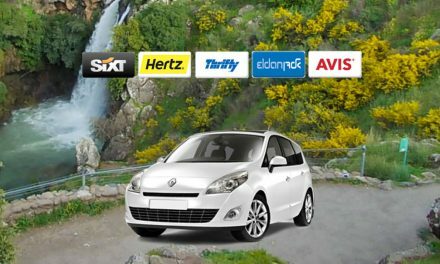 What strikes most visitors is the variety and selection. You definitely want to walk down Shabbazi street to the old train station mall (which was re-opened a few years ago as a museum and shopping center). 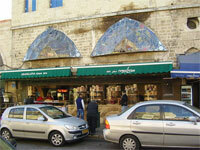 Then walk south to the old city of Jaffa and taste Pita bread that’ll blow you away at Abulafia bakery. If you’d rather not slum it, definitely sit on the beach and enjoy great seafood at Manta Ray just across the street from the old station mall. 120 Yefet St. has served pita bread from their local Taboon oven since the British rule, and have become one of Jaffa’s hallmark family businesses. They also run a scholarship program for Jewish and Arab children’s education programs, so buy a pita and help bring peace to the middle east. For a trendy round the clock diner check out Brasserie located at 70 Ibn Gevirol Street. For a veggie Indian style Bohemian eatery, check out 24 Ruppie (or the Tally as it’s affectionately known in the community) 16 Shoken Street. Also, stop by the happening neighborhood and bar hopping magnet of Florentine (think Soho). 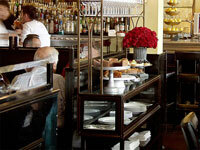 Check out the neighborhood hangout at Florentine 10 Cafe/Bar. Tel Aviv residents work hard, play harder and party hardest. Parties start at midnight and run till the last person standing. Bars are filled with friends out for the night and people looking to get friendly. Tel Aviv’s beautiful women are attracting model scours world wide. Mingle with other travelers, across the street from the beach on the Promenade. For the finest selection of whisky and beer, this place is on a mission to bring good alcohol to the people. The Irish pub Molly Blum’s (100 Hayarkon street), especially happening on St. Patrick’s Day :). 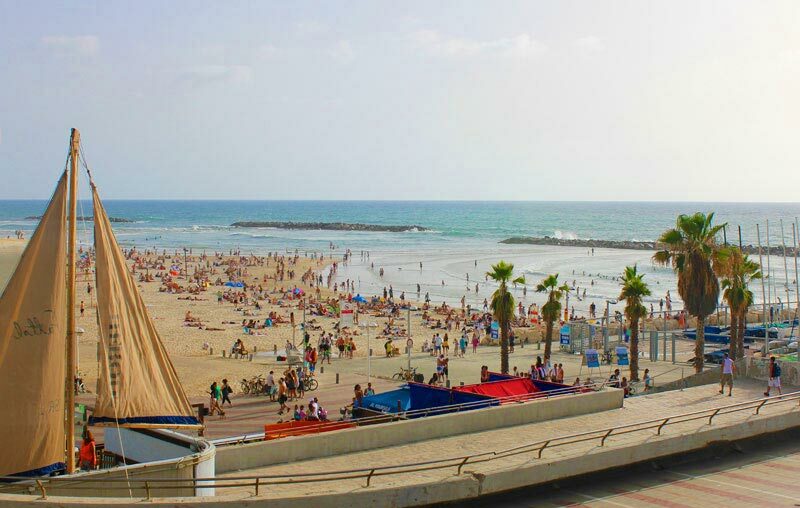 More about Tel Aviv from Israel Travel Secrets.